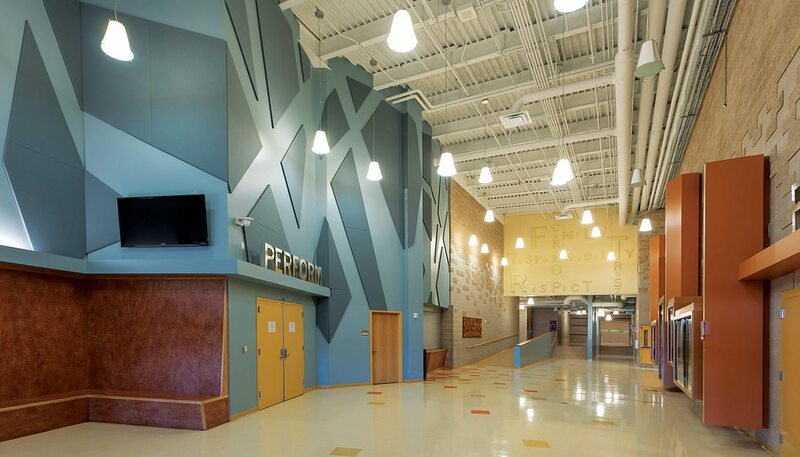 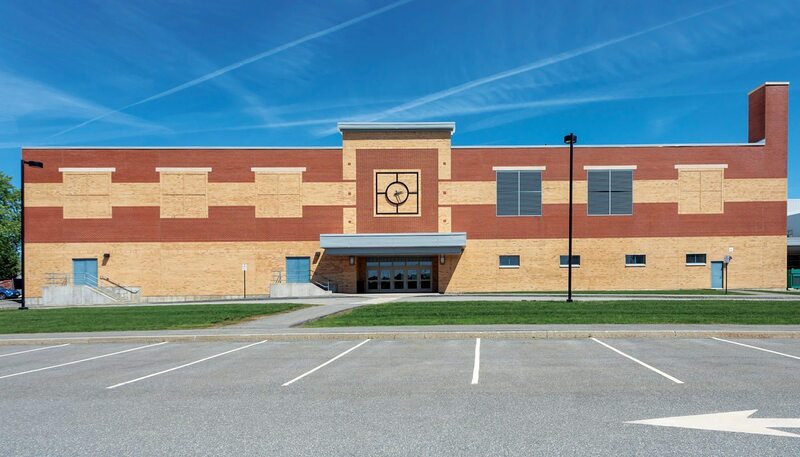 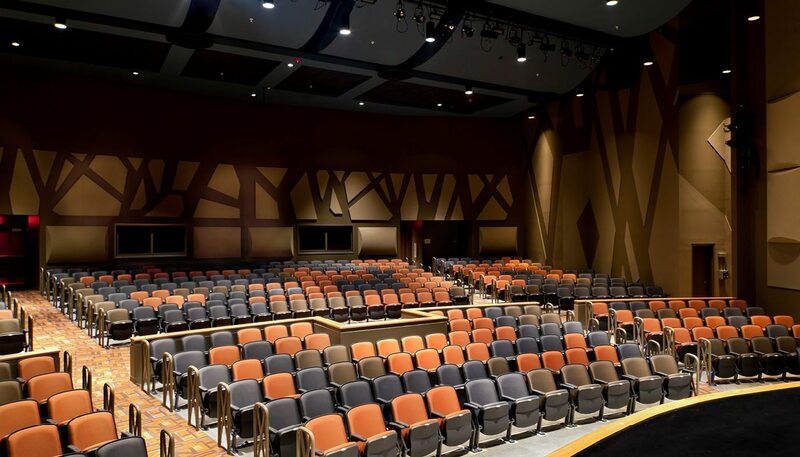 Brewer Performing Arts Center (PAC) is a 487-seat facility located within Brewer Community School, a 156,000 SF school serving grades pre-K through 8. 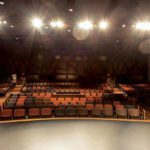 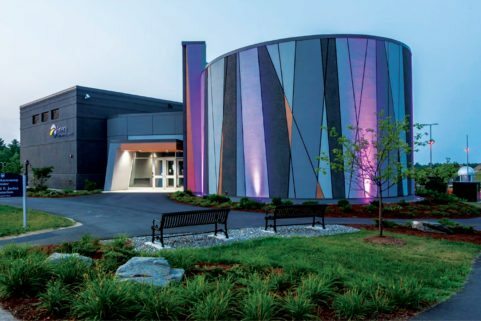 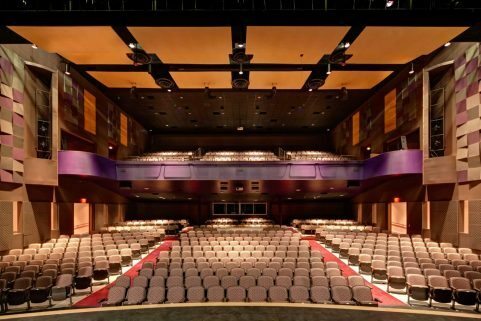 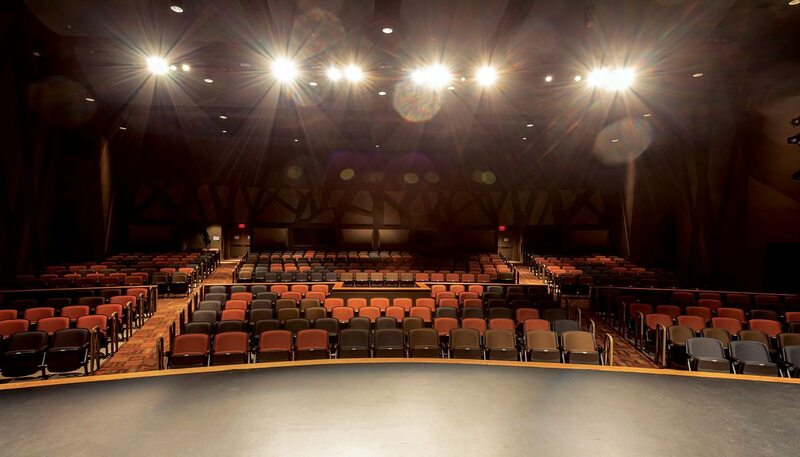 The performing arts center serves both students and the wider community, and features professional quality theatrical lighting and state-of-the-art audio system, capable of 24-track recording, enabling professional recording of live performances. 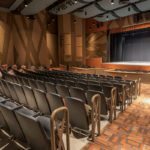 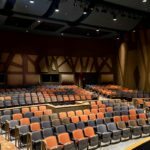 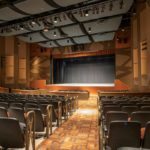 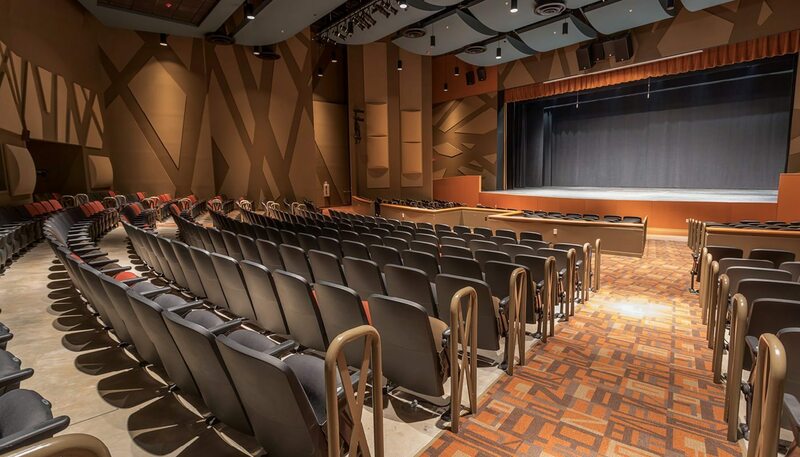 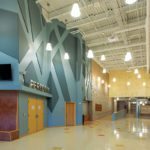 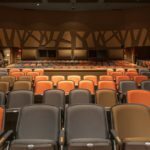 Brewer Performing Arts Center’s outstanding acoustics were achieved by the room’s strategic geometry along with acoustic wall treatments and clouds. 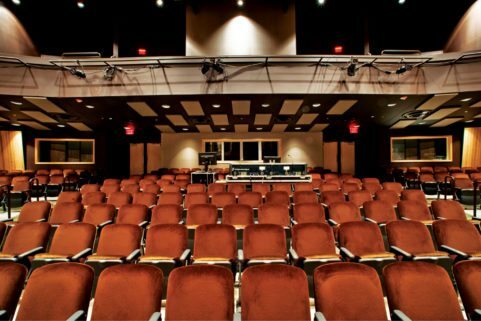 A projector and screen enables film presentations, and good sight lines mean “all seats are good seats” at Brewer PAC. 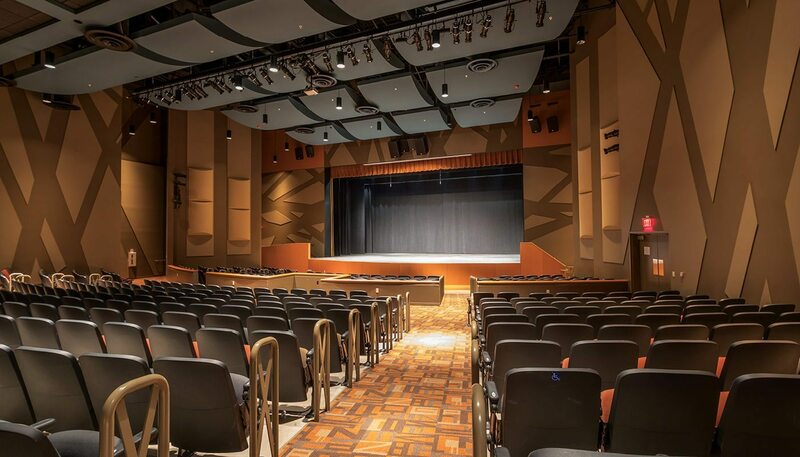 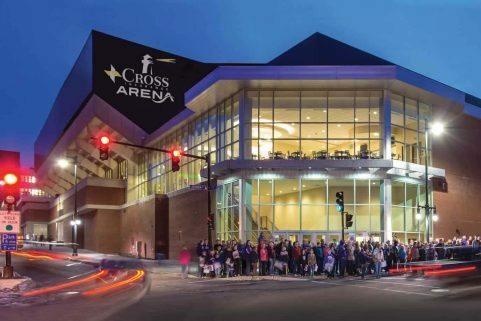 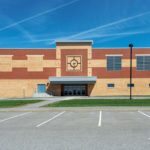 Other performance-friendly amenities include a dedicated entrance, loading dock, ready room, dressing rooms, and a Clear-Com two-way-radio system. 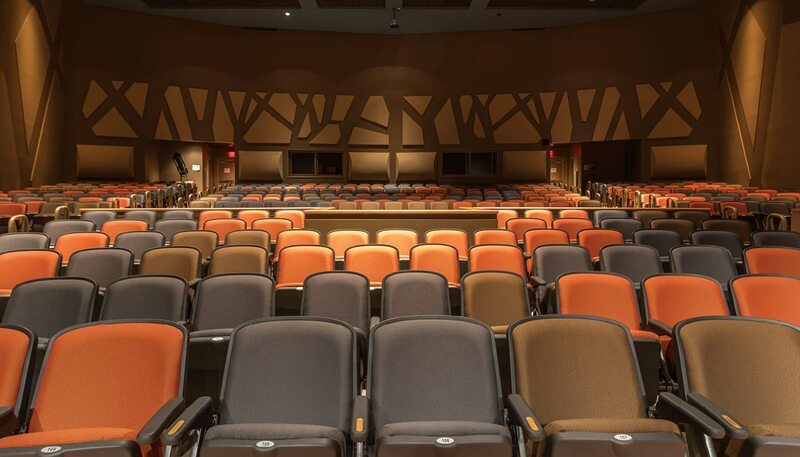 Brewer Performing Arts Center can also accommodate guests who are hard of hearing by broadcasting audio to 20 listening-assist devices.